Just a quick info about the Creatures Challenge Circle Table made by Razan. 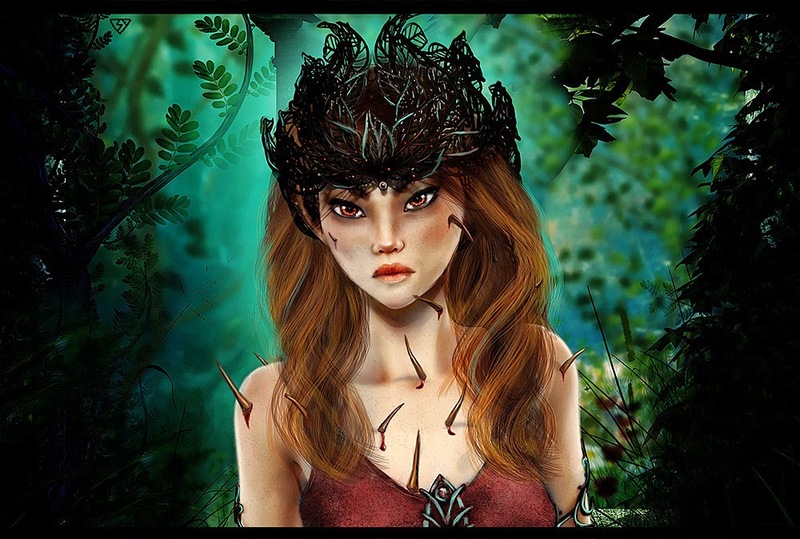 It provides an overview about the creatures that should challenge the players in specific circles. 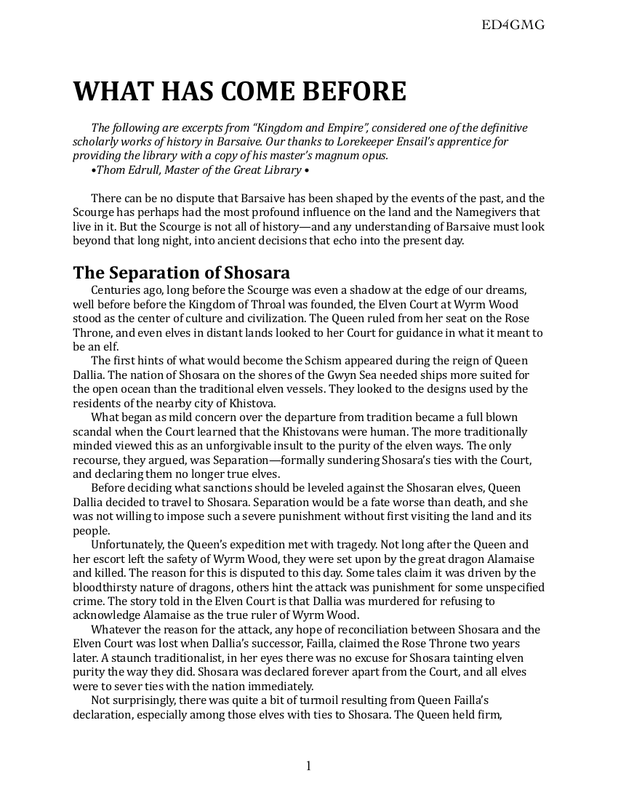 The document was first published on the FASA Earthdawn forum. At first I have to point out that the inspiration for this article came from Elidis and Morgan Weeks. 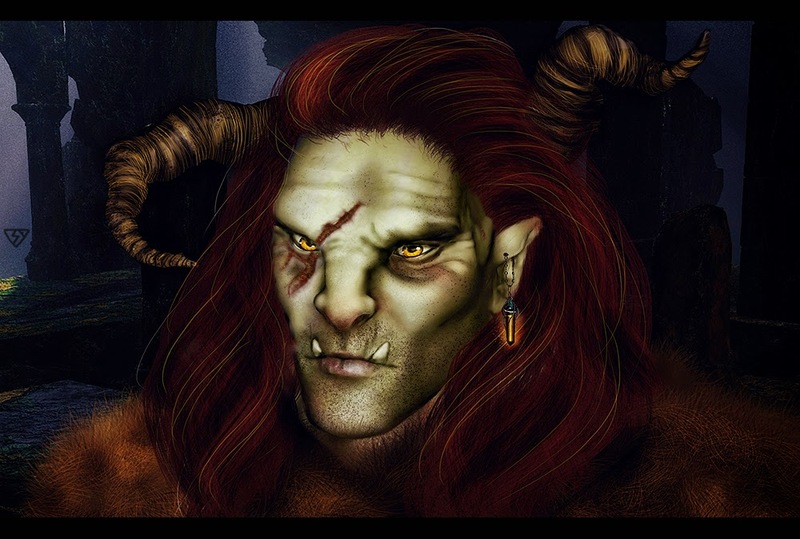 Morgan Weeks is writing a series on his blog Panda Gaming grove called 'Anatomy of a Discipline' wherein he introduces and explains various disciplines of Earthdawn. 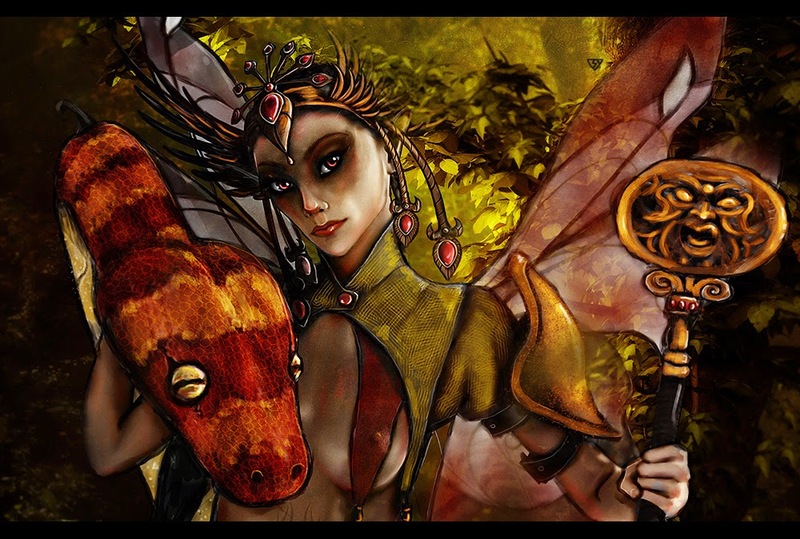 The series led Elidis to the idea to create an overview for all officially existing Disciplines of Earthdawn. Well the idea was now realized in the following table which lists all Earthdawn disciplines sorted by edition. It includes 1st, 2nd, 3rd, 4th Edition disciplines, Cathay and other official sources where Earthdawn disciplines were introduced at. And yep Questors are considered in the list as well! The table also shows if the discipline already is or will officially be converted to ED4. The list doesn't claim to be complete! So I would be happy about any comment or suggestions about errors or missing Earthdawn disciplines. I want to point out again that all Kudos go to Elidis who gathered all the info and made up the list. The German Earthdawn publisher Ulisses Spiele posted a preview of the soon-to-come Barsaive map at their Facebook page. The 70x100 cm map will be available at the SPIEL2015. For all the German fans that don't visit the SPIEL in Essen will later have the opportunity to buy it via the Ulisses store. In a recent post at the FASA Earthdawn forum were initially the detailed stats of a Bone Spirit requested. 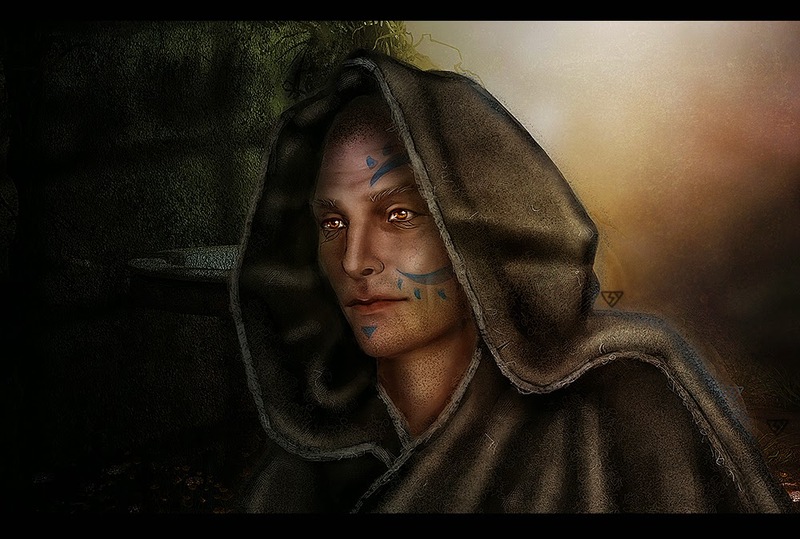 As the discussion went on, Mataxes was so kind to released a part of the Spirits chapter from the not yet released Earthdawn 4th edition Game Master Guide. "The linked PDF has the information necessary to create bone spirits, taken from the spirits chapter of the ED4 GM Guide." The 5 page PDF file provides strength stats for Ally Spirits as well as descriptions of Spirit powers. The provided statistics are guidelines and serve to form a general baseline for spirits of that type. Since each spirit is a unique entity, the gamemaster should feel free to modify these values to suit the needs of his game. The powers listed for a spirit are only the most common examples. Nachdem der englischsprachige Auszug aus dem Game Masters Guide im FASA Earthdawn forum veröffentlicht wurde, kommt Ulisses mit dem deutschen Gegenstück daher und beschert damit der deutschen Community Informationen zu Geistern und ihren Kräften. Als Beispiel sind ausserdem die Statistiken für einen Knochengeist als Verbündeten enthalten. Die angegebenen Spielwerte sind Richtlinien und dienen als allgemeine Grundlage für Geister der jeweiligen Art. 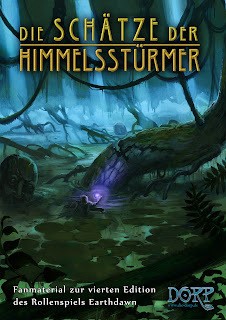 Da aber jeder Geist ein einzigartiges Wesen ist, kann der Spielleiter diese Werte gerne so modifizieren, wie es zu seinem Spiel passt. Die für einen Geist angegebenen Kräfte sind nur die am häufigsten vorkommenden Beispiele. The following video shows a trick how to find out if a die is actually balanced or not. Funny thing is that the trick comes from golf, to find out if the golf ball is balanced out. I recently got contacted by Sade. You may know some of her projects like the ePIC Generator or the iRPG fantasy app. 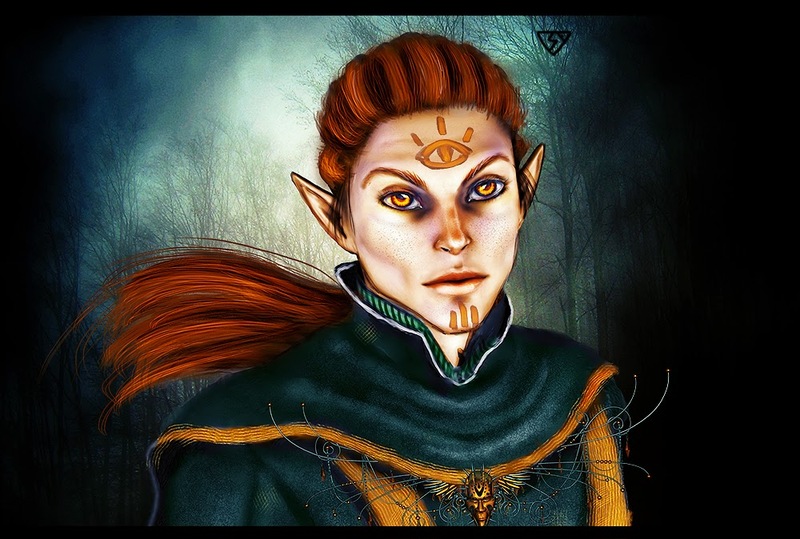 Sade created some beautiful colored artwork of all Earthdawn races and she was so kind to give me the rights to publish them here on the blog. She is also planning to create some Theran images, so maybe we'll see an update of this article soon. Your opinions and comments are as always welcome. 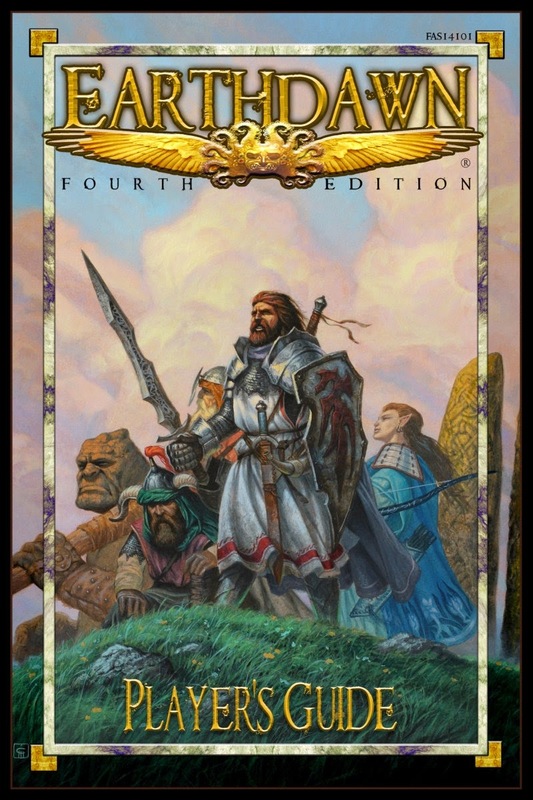 Earthdawn 4th Edition now baby! Earthdawn 4th Edition Player's Guide is finally here! The book is available in PDF format, you can buy it at the FASA Games online-shop. The print version is going to the printers later this week and should be available in March. P.S. If you have backed Earthdawn 4th Edition on Kickstarter take a look at your email account, and look for the Kickstarter email with the redemption code. 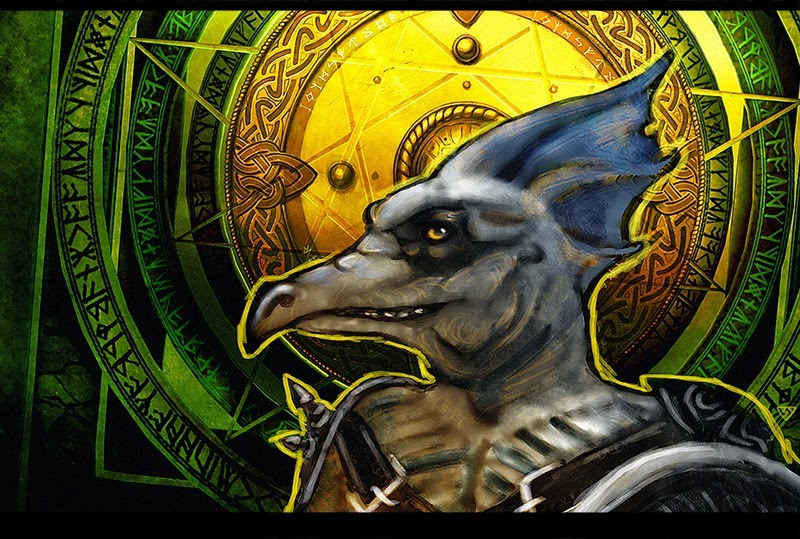 Teilzeithelden.de the German web magazine for roleplaying, LARP and fantasy recently published an interview with Michael Mingers, the German product manager for Earthdawn 4th Edition. 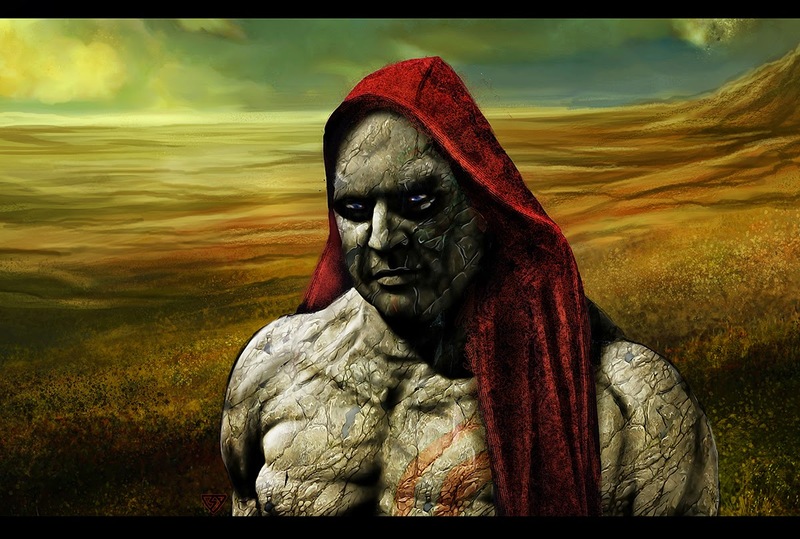 I consider it, as always, my duty to keep the English community up to date about the German Earthdawn developments by Ulisses. But honestly I simply can’t translate every news or interview that contains new information about the progress of the German Earthdawn 4th edition. I simply publish the news and links about the German development most of the times on the Google+ page of the Earthdawn blog. But this interview contains so many info and news that I want to point on it here on the blog too. Nevertheless I can only link to a "translated" version of the interview using the Google Translator and provide an overview about the main topics of the interview. 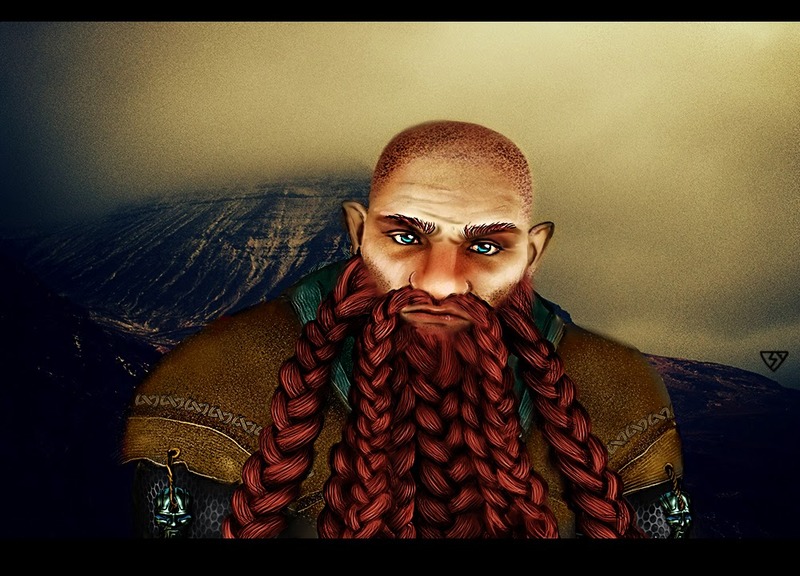 “Kaer Tardim” will be published as an introductory adventure at the same time as the Player’s Guide. 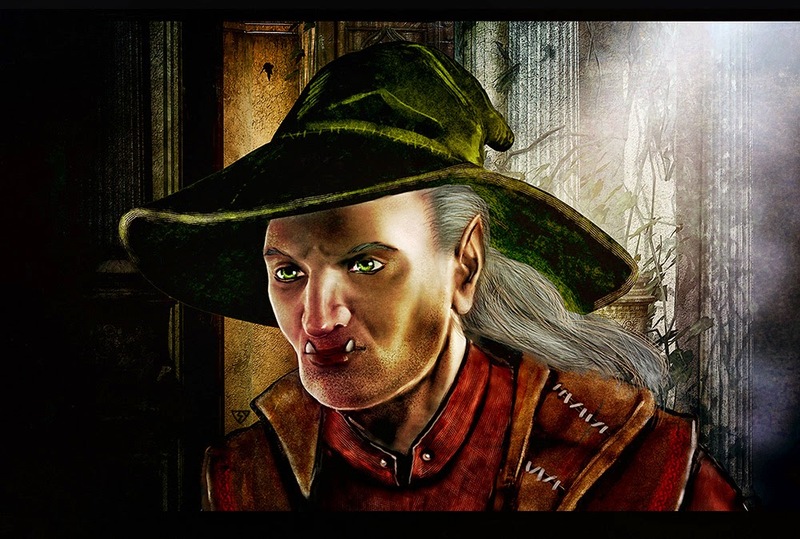 It looks like that several German Earthdawn novels are planned to be published as a German self-disclosure. A soundtrack is composed by X-Score for German Earthdawn. At some point it is planned to publish an adventure trilogy playing at the Serpent River! The interview with Michael Mingers was held by Roger Lewin from Teilzeithelden.de. Native German speakers can read the interview in German over here. Good news everyone! 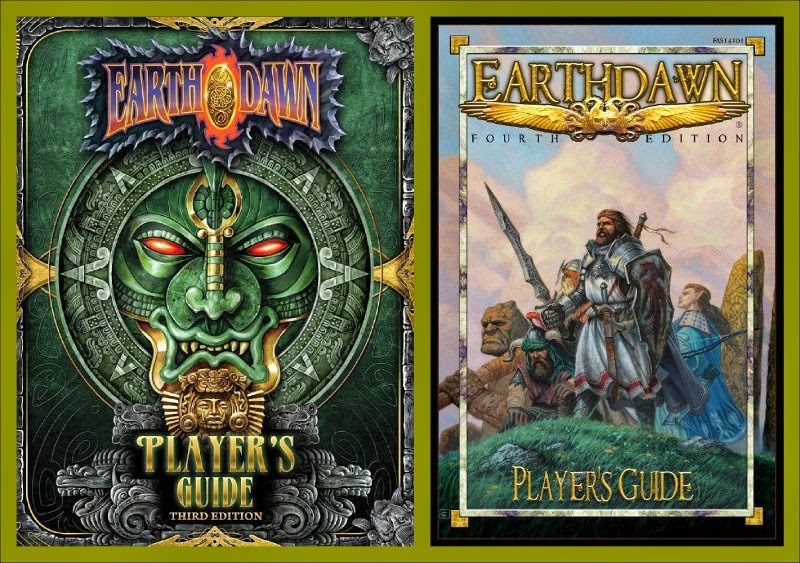 According to the new update on the Earthdawn 4th Edition kickstarter project, the official PDF release of the Player's Guide is just round the corner. A little less than a dozen pieces of art are missing. The PDF should be released by the end of January. Once the electronic version is out, FASA will give it a week to cover some additional bugs, typos etc. Then it will be sent to the printers. The print version should be available in February. As for the Gamemaster's Guide, unfortunately it's way behind schedule. Josh is polishing the rules section, Morgan Weeks (aka Panda) is working on the magic items chapter. The rules for thread items are not going to change, but the items will be revised, and there is going to be some additional advice on using magical treasures in campaigns and adventures. The work is also being done on additional material concerning managing fights, and opponents stats, especially armor values. During game sessions Josh saw that because of the new Armor-Defeating Hits rules the fights with high-armored opponents tend to be much longer. So this is going to be handled, and the armor values of the opponents are probably going to be lowered, at least those which are too high.